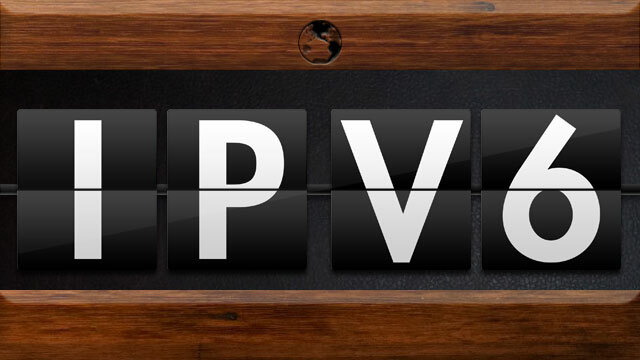 Today is 6/6/2012, World IPv6 Launch Day. The day the Internet community permanently enables the IPv6 Internet protocol on their infrastructure. Some refer to this protocol as ‘The New Internet Protocol’. But is it new? No. Not at all. To deal with the anticipated IPv4 address exhaustion, the Internet Engineering Task Force (IETF) developed IPv6 and described it in Internet standard document RFC 2460. This was published in December 1998. Due to the incompatibilty with the current IPv4 protocol, it was never widely adopted. Now that address exhaustion is imminent, the world is in a hurry to set things straight. I am the proud owner of what is arguably the coolest IPv6 Internet domain name in the world: ipv6.net. I have owned it for a long time. Not too long ago I realized that 6 days after 6/6/2012, it has been exactly 15 years since the domain name was registered. Apparently, back in 1997, I envisioned that IPv6 was going to be big. I just didn’t know it would take such a long time. But are we there yet? No. Not even close. Back then the community thought we would run out of IP addresses in just a couple of years. With some tricks we managed to stretch things out until now. We even back-ported some cool stuff from the new protocol into the old. It wasn’t until mid 2011 that we saw some serious global industry initiatives to promote adoption of IPv6: World IPv6 Day on June 8th. On that day some of the smaller as well as larger members of the global Internet community temporarily enabled IPv6 on their infrastructure. For some, just to see what would happen. For others a good test of their transition plan or chosen technology. Some ‘forgot’ to switch it off again. For most it was a big success; a final rehearsal for the big step: a global transition from IPv4 towards IPv6. Today is the start of that transition. Content providers around the globe will provide access to their services over IPv6. Access providers will provide IPv6 access to their end-users. Hard- and software manufacturers will bring out IPv6 support for their products. This broad involvement will certainly help to solve the chicken and egg, content versus access, problem. So what will happen after today? If all goes well, and I certainly expect so, we will have marked the beginning of the end of IPv4. It will take many years before IPv6 has become the dominant protocol and IPv4 is marked ‘legacy’. But I expect that after today more and more companies will make a start with their transition. For many it will be hard to make a good business case for it as there is not always a clear added business value. Just don’t wait too long as the landscape is rapidly changing. Some advice for those about to take the plunge: take ample time to gather knowledge, create awareness among those involved, decide on a sound transition scenario, test and start planning. discussion on this point, see [AARCH]. value of the U/L bit. of an Ethernet interface must have a length of 64 bits. Type        1 for Source Link-layer address. Length      1 (in units of 8 octets). address used to derive the Interface Identifier. mapping exists from 48-bit MAC addresses to EUI-64 form. there is no protection from duplication through accident or forgery.